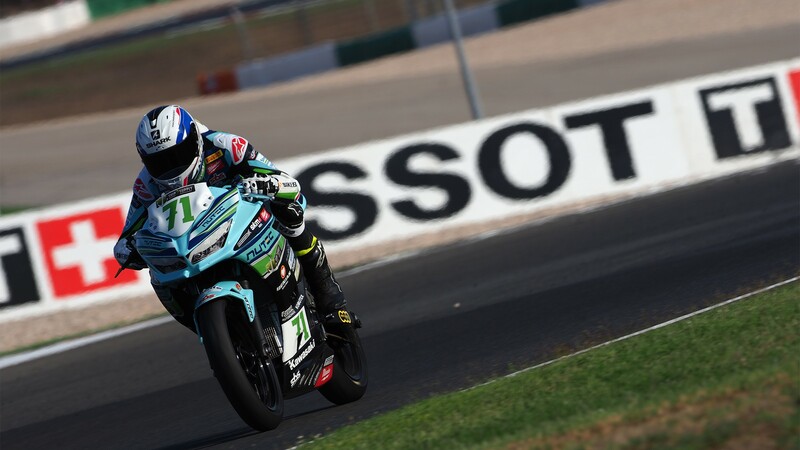 Tom Edwards (Nutec- Benjan – Kawasaki) will lead the line on Sunday at the penultimate FIM Supersport 300 World Championship race of the season after putting in a fantastic lap 1’56.877 in Superpole 2 at the Autodromo Internacional do Algarve, ahead of the two Yamahas of Daniel Valle (BCD Yamah MS Racing) and Manuel González (BCD Pertamina Junior Team by MS Racing). 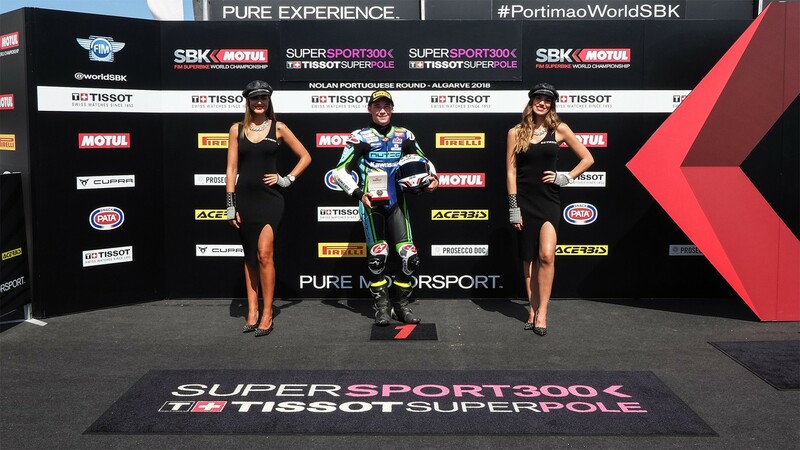 The 17-year-old becomes the first Australian to win a WorldSSP300 Tissot Superpole, and also the first Australian to take a pole in any WorldSBK competition since Broc Parkes in WorldSSP back in 2012. 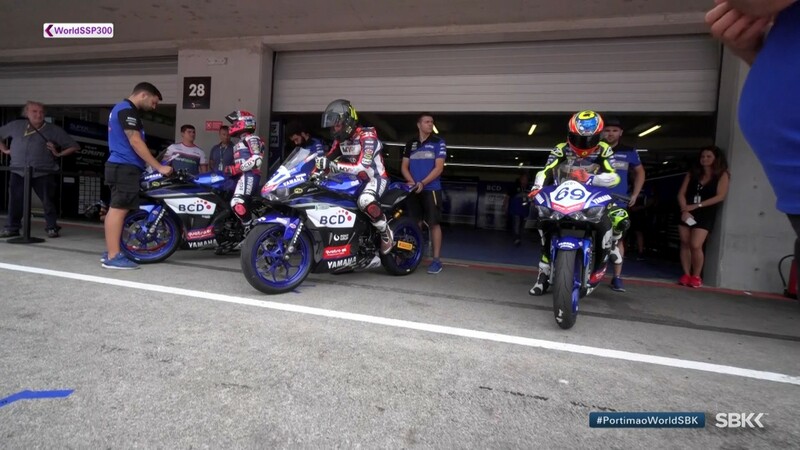 His previous best qualifying performance was tenth at MotorLand Aragon. He leads row one ahead of the Spanish duo of Valle and González, who will also be making their first front row starts in 2018. 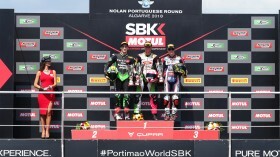 Row two sees Scott Deroue (Motoport Kawasaki) in fourth, ahead of Dorren Loureiro (DS Junior Team) in fifth, and the returning Robert Schotman (Motoport Kawasaki) in sixth after qualifying from Superpole 1. 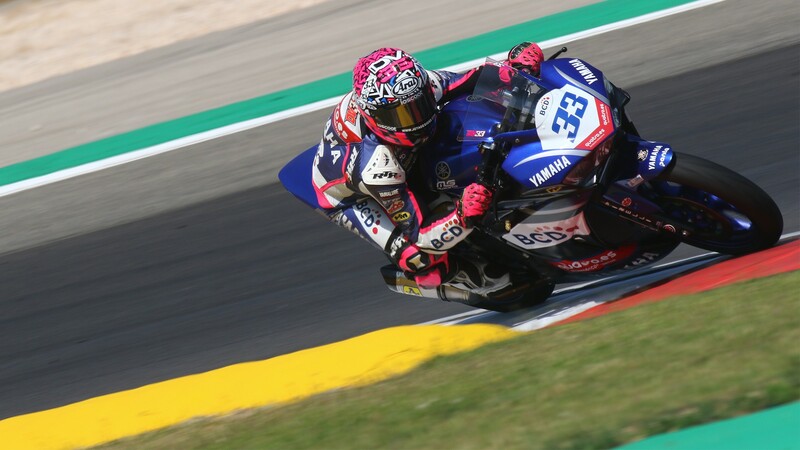 Borja Sánchez (ETG Racing) leads row three in seventh, ahead of Maria Herrera (BCD Yamaha MS Racing) in eighth, and championship leader Ana Carrasco (DS Junior Team) in ninth. 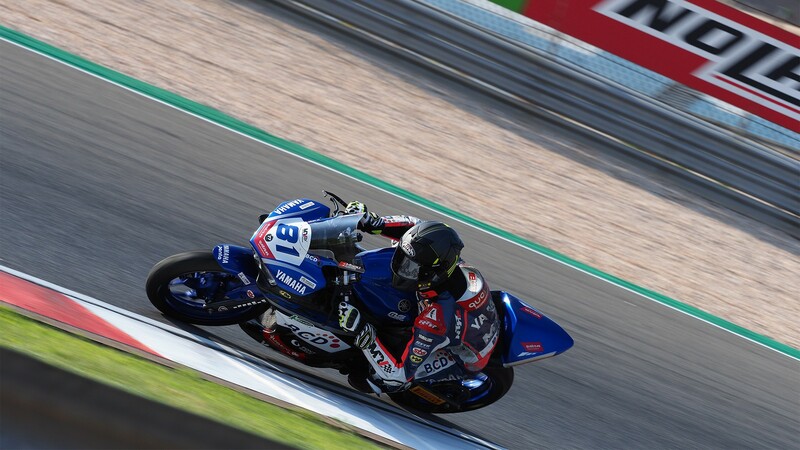 The Murcian faces her first chance to become World Champion at Portimao starting just ahead of her main championship rival Luca Grunwald (Freudenberg KTM WorldSSP Team), who finished at the back of Superpole 2 in twelfth. 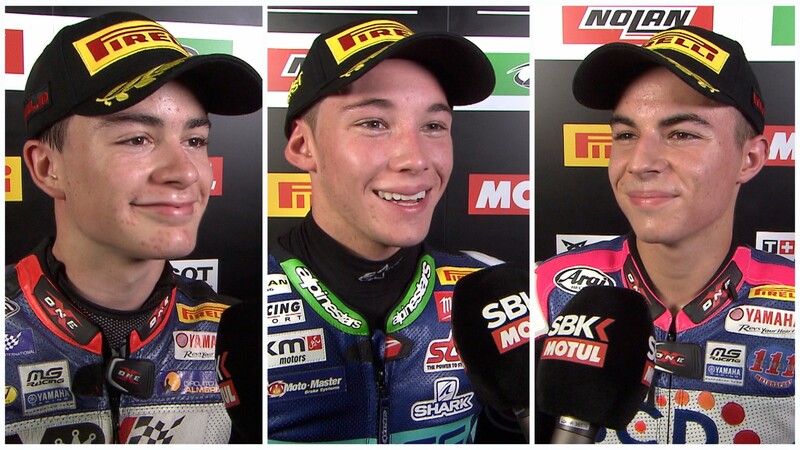 Carrasco faces the opportunity to make motorcycling history tomorrow at 12:45 local time (11:45 GMT). 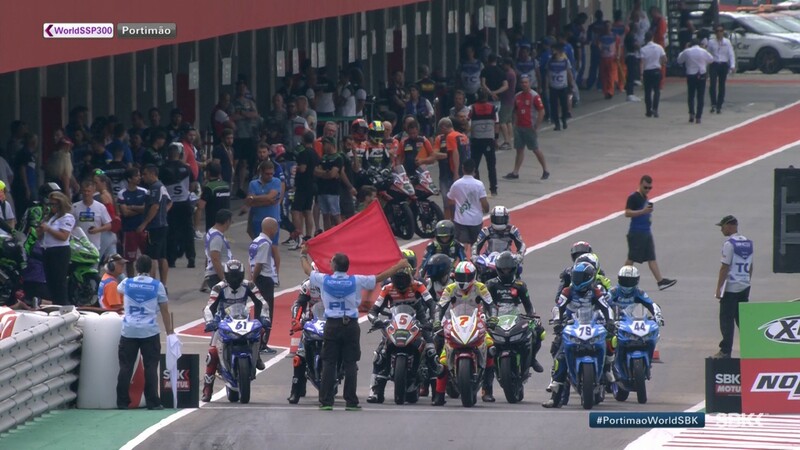 Be there for the seventh WorldSSP300 race of 2018 thanks to WorldSBK VideoPass.